Newsletters — Caritas of Port Chester, Inc.
Farm to Table and Back Again? 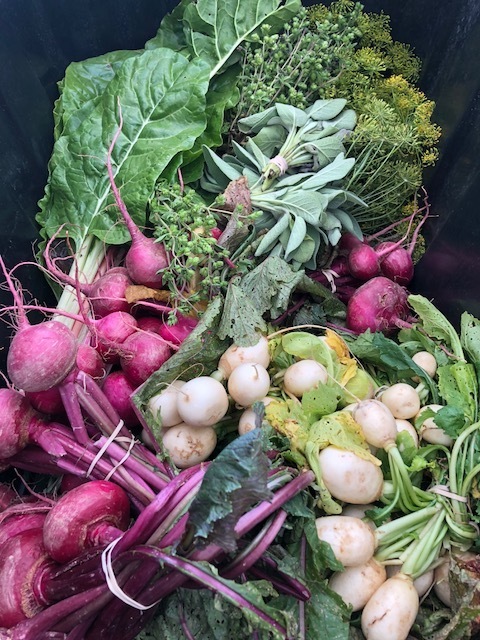 Every Summer and Fall, several farms and community gardens donate part of their harvest to Caritas for use in our kitchen and for distribution at our pantry. Most of what we receive is edible but some is not. As part of our Wast No Food initiative, we gather up scraps and peelings, as well as rotten or damaged produce and fruit collected from restaurants and supermarkets, and we send them back to the farm for composting. When you come to volunteer as either a sous chef in our kitchen or to help with pantry distributions on Wednesdays and Saturdays, you may find yourself filling blue recycle bags with vegetables and fruit that is much better suited for composting than for consumption. The bags will either be dropped off at Hilltop Hanover Farms in Yorktown Heights, or picked up by The New York School for the Deaf for composting in their locations. We will be looking to expand the network of restaurants, stores, farms and community gardens participating in this recycling initiative, so let us know if you are aware of anyone who might be interested. We will use the good and recycle what isn't to help contain the cost of feeding the hungry. How much protein does a person need to consume in a day? 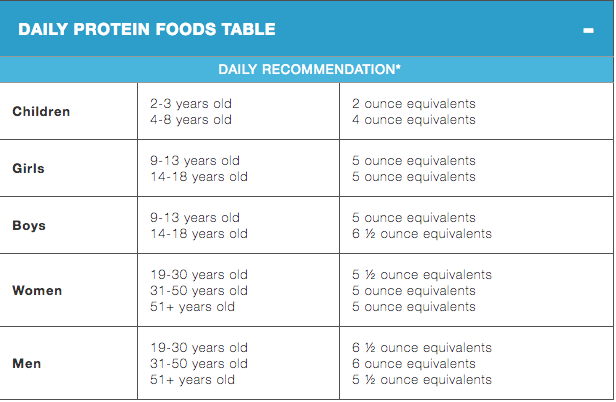 The amount of protein one needs depends on age and gender, which makes setting up a pantry a bit challenging, since each household is unique. If we were to try to assign quantities based on this chart, it would drive our clients and volunteers crazy, and it would take a lot longer to shop at the pantry. The approach we have taken is to identify a set number of items in each category, and make sure we include several that can feed more than one or two people. Whole chickens and eggs by the dozen are perfect examples, but we try to go beyond what is required, doubling the number of items families can take by setting up two protein sections. One is for peanut butter, beans and tuna, while the other is for frozen and fresh meat, chicken, fish and eggs. However, we do make an exception for pregnant women, by giving them even more than the double amount offered to regular clients. 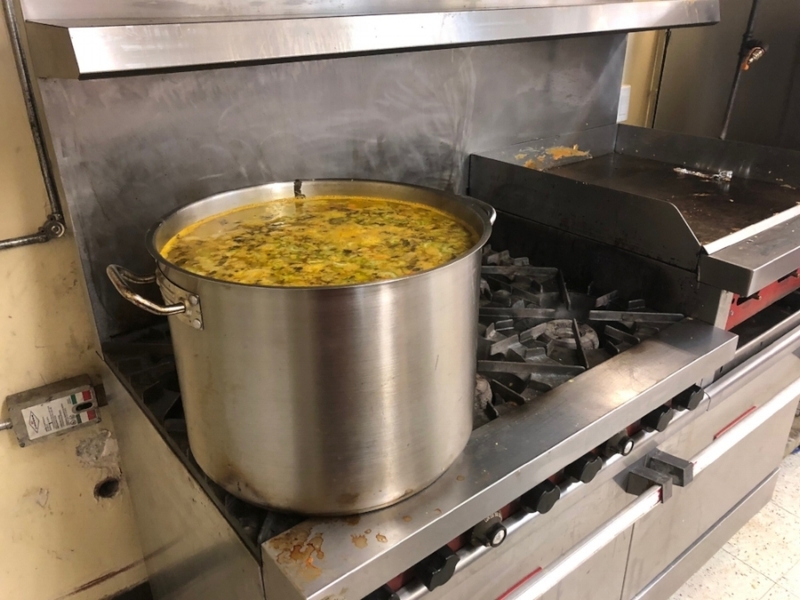 When we compared what we would offer if we followed the serving suggestions versus what we are offering now, we discovered our clients have many more choices and get to take more food home to feed their families. As a result, we estimate our clients leave with 4-5 days of food rather than the typical 3. We can only do that with the help of our donors and sponsors who provide annual grants to increase the options for healthy nutrition. Over the past year grants for additional proteins were made available by TD Bank, Junior League of Westchester on the Sound, The Hudson Gateway Realtor Foundation, and The Greenleaf Foundation. We have applied for more grants to support our expanded protein table, and we are awaiting responses. So, what do you think? Is our idea of providing more than required something you would like to help us do? Why not join us on Pantry Days (Wednesday 9-10 am; and Saturday, 8-10 am) and see? If you haven't felt the joy of giving lately, you need to come. Everyone leaves smiling. We are excited to tell you that our stove has been fixed! It has been broken for over a month and we have been making do with our convection oven. The biggest issue with this was that we had to buy more expensive food for our kitchen even though we had to make simpler meals. We are looking forward to providing our clients with diverse options moving forward. Additionally, the Summer Camp is starting with the Church so Caritas is lively today. Even though the camp is operating within our space, this does not mean that we are closed for the Summer.